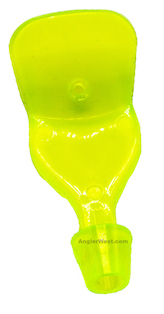 As featured on the Pee Wee™ Wiggle Hoochie and Wiggle Hoochie™, this unique crank-style bill design has an unbelievable look, including a high-UV option. Add this irresistible to your favorite application for walleye, Kokanee, trout, salmon and most other game fish and enjoy the results. Build your own Wiggle Hoochies using the high quality Fish Field 1 3/4" Hoochies. High quality Fish Field 1 3/4" Hoochies perfect for Kokanee, Trout or even salmon & tuna when they are feeding on very small bait. 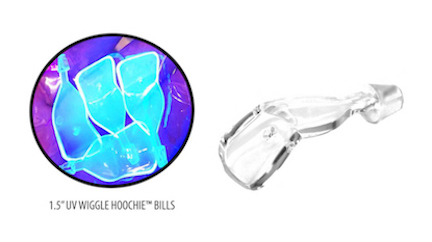 Build you rown Wiggle Hoochies using the 1.5" Wiggle Hoochie Bills (not included). 6 per pack.